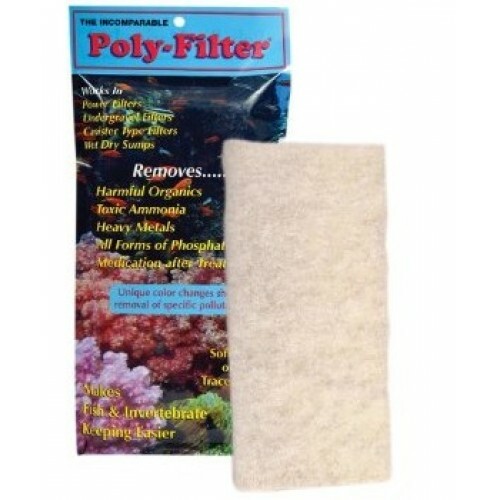 The POLY-FILTER is for filtering and purifying both fresh and salt water aquariums. It is a formulation of a special patented material bonded to a synthetic matrix. By means of a unique proprietary process, the POLY-FILTER is made impervious to salt and is also organic loving to certain materials. It can absorb and adsorb contaminants and other toxic materials found in nature or added to fresh and salt water with or without fish and invertebrates. 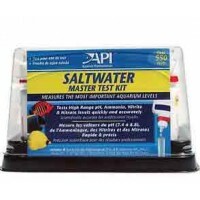 Medication added to fresh and salt water aquariums for treatment of diseased fish will automatically be removed by the POLY-FILTER after serving their intended purpose before the medication can produce a toxic effect on the fish. Why is Poly-Filter more expensive than other Poly Pads? This question has been asked continually by every aquarist who has used, or continues to use Poly-Filters on a regular basis. The Poly-Filter technology is similar to the surgical grade adsorbent filters used in today’s dialysis machines, which could explain its price, but thousands of avid aquarists around the world know that the price is well worth the results! Poly-Filter has been proven to have minimal impact on trace elements, where activated carbon will strip your water of trace elements far more quickly than this high-grade product. 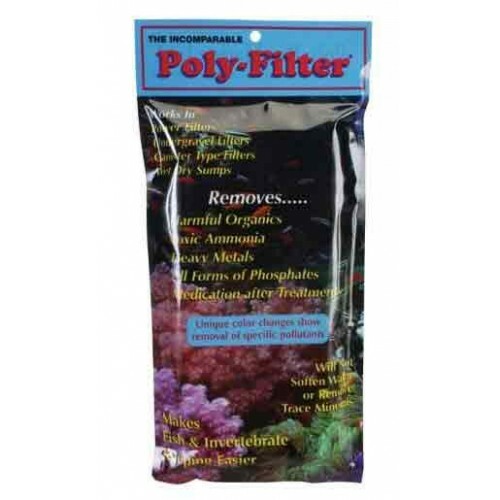 All of us here at Aquatic Warehouse use Poly-Filters on our aquariums and have been for over 22 years! It will not remove calcium, alkalinity or magnesium. Poly-Filters excel at rapidly removing antibiotics and copper medication from the aquarium after treatment. Poly-Filter turns bright yellow showing ammonia absorption, blue after it has adsorbed copper, red for iron etc which lets you know it is working. Poly-Filters are very useful in quarantine tanks when a protein skimmer is lacking during the time that copper or medications are not added. Poly-Filter adsorbs heavy metals like lead, iron, mercury, zinc and other unwanted elements. Lead is often found to be a common by-product in kalkwasser use and builds up over time. 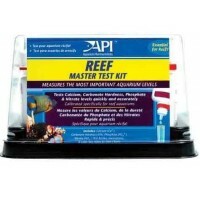 If rinsing of detritus from the Poly-Filter, make sure that you use only RO/DI water because chlorine that is present in plain tap water can cause the adsorbed organics accumulated on the Poly-Filter to be converted to toxic organic chemicals which can potentially be released back into your aquarium. Other than rinsing off with distilled water to remove detritus, Poly-Filter cannot be regenerated. This is an absorbent pad and best used If placed in a sump, with passive low to medium flow filter (in the cleanest section – last chamber). Water should not be forced through the pad but made to subtly flow through and or around it. When using the Poly-Filter in a sump, the Poly-Filter pad should be placed after the protein skimmer. This is to allow the skimmer to process the raw, organic-laden water coming in from the display tank first. Make sure to clean the collection cup of the protein skimmer befor placing a Ploy-Filter in the Aquarium filtration or sump, because it could make your skimmer briefly over skim. At Aquatic Warehouse, we are using a cut-up piece of Poly-Filter inside a Tunze internal filter down stream of some standard white filter floss. This keeps the Polyfilter clean of detritus.